Emily’s story is an interesting one, like most of the students that fill the classrooms at Oregon School of Massage. She was looking for some direction with her career as a young adult and decided to try out community college. Emily considered veterinarian work, then shifted to helping people as a PTA, or OTA. Unfortunately, job shadowing in these environments did not energize her completely and left her uninspired. She did feel closer to a path of healing, but not quite there. Selling essential oils was a spark that led to her first massage experience during this transitional period. Emily was then trained in this technique and massage was energizing to share. This led into searching online for massage schools in her area. One day, Emily stopped by OSM’s Salem campus to get some information. She says, “the staff was so helpful. It set the tone for what studying at OSM would be like and I immediately felt like this is where I’m supposed to be.” Emily knew she had finally found a way to love people and support herself at the same time. Emily began her massage training at OSM in January, 2016. She says, “this is when the self-work and journey of discovery began.” Through her training, Emily has learned to recognize and breakdown many “guarding” tactics and how to receive touch as well as give. It has also peaked new interests like, breathwork, trigger point, astrology and Chinese organ calendars. Recently, Emily returned from a life-changing trip to New Zealand. 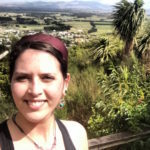 She connected with advisors at Massey University of New Zealand to construct plans to pursue a BA in Health Science – Human Nutrition degree. She has further interest in integrating massage with nutritional based recovery. Everything is coming full-circle for Emily. All of her training, education and passion for making a difference in the world will make for a sustaining career in the ever-growing field of massage. It’s great to see an example of how someone can integrate what they’ve learned in massage school with other holistic practices. Thanks for sharing your story, Emily!